TIBERIUS, ISRAEL (ANS – April 13, 2018) — As we in the US ponder our acceptance of refugees from war-torn places far away, weighing concerns about safety and stability against the moral imperative to assist those in need, it is useful to consider how others respond to this fraught situation, in circumstances far more immediate, intense, and volatile than our own. 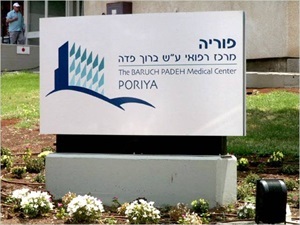 Poriya Hospital, officially known as Baruch Padeh Poriya Medical Center, is located west of the ancient city of Tiberius, which climbs up from the western shore of the Sea of Galilee, known locally as Lake Kinneret. In a letter about the work of Poriya Ridge, near the border with Syria, by Yiscah Bracha and Jonathan Eisenthal, obtained by ASSIST News (www.assistnews.net) the two write that beyond the border between Israel and Syria, the Syrian landscape is dotted with towns and villages devastated by the war. “Travel by bus or car is perilous: Every moving vehicle is a target for attack. Water is contaminated and power is sporadic. Polio, cholera, typhoid, hepatitis, and parasitic infections, are back. There is only the barest remnant of medical care,” they write. The two letter-writers say desperate parents fortunate enough to find a Syrian physician are often disappointed when the physician explains that he or she has no supplies, no drugs, no sanitary facilities. Although Israel and Syria are officially in a state of war, one patient at Poriya said that opposition fighters all know about the medical care available to them in Israel. Dr. Yaakov Ferbstein, the director of Poriya, said that the Syrian patients under his care receive the exact same treatment as everyone else. “This hospital makes no distinction about who the wounded are or where they come from. We give the best care possible to all injured patients,” he told Israel’s Channel 10 television station, according to an online report from The Times of Israel. “Why do we treat them?” The question does not make sense to Dr. Said Abozaid, who leads the 30-bed pediatric unit at Poriya Hospital, two ridges up from Tiberius. Dr. Said is from the Arab village of Eilaboun (pronounced Ei-la-boon) not far from the hospital. He was a good student as a child, and his family encouraged him to pursue a career in medicine, which he did. After graduating from college in Israel, he continued his medical training at the Israel’s Institute of Technology (the Technion), in Haifa, on the Mediterranean Sea. After training, he served at the Haifa Rambam Hospital, and then at a community hospital in Afula, a small town between Haifa and Tiberius. But he wanted to come home to Eilaboun, where his parents, and other family members, and childhood friends still lived. Both personally and professionally, it was the perfect place for him, and he has now been serving his wider community at Poriya Hospital for 28 years. Daily he works together with his Jewish, Christian, Druze and Circassian medical colleagues, who also live in nearby cities and villages. The region spreads out beyond the hospital, cascading down in all directions. Israel could have built the hospital on the first ridge west of Tiberius, which would have made it more convenient to the major population center. Instead they built atop one ridge farther west, partly to make it less accessible to bombing from Syria, and partly to make it more accessible to the Arab, Druse, Circassian small towns and villages, and the Jewish communities (moshavim, kibbutzim and villages), in the interior. “Life is our common cause, and politics are left outside the door,” says Dr. Erez Onn, the hospital’s medical director, and a Jew. He sets the tone, and the staff echo his sentiments. They are united in their desire to render assistance to those suffering from the disaster that has unfolded next door. They compete for the privilege of taking care of the children through the exhausting stint in the underground emergency hospital. Like an enormous medical bomb shelter, the facility is equipped to provide full medical services for up to 150 patients, in cases of war, missile attack, bombs. The Israeli government built it after the second Lebanon war so there would be a place to evacuate and continue treating patients even if Hezbollah attacked from the north. Because the children must arrive and leave under cover of darkness, the shifts are 18-24 hours long. Many recounted the story of the small Syrian boy born with a heart defect. The young mother was frantic. She could not communicate with her family back home, could not tell them why they had not yet returned. And she couldn’t know how her other children were faring. And she was pregnant with another child. The border that separates the multi-cultural, collaborative and caring Poriya Hospital from the Syrian hell-scape is closer than the St. Croix River is to downtown St. Paul. The Medical Center is located on Poriya Ridge above Tiberias, and serves the population of Tiberias, the Golan Heights, Jordan Valley, Lower Galilee, and various inhabitants from nearby cities, villages, Kibbutzim and Moshavim. A diverse population of Jews and various minorities of all religious denominations are served by the Medical Center, and includes ultra-orthodox, observant and secular Jews, as well as Arabs, Muslims, Christians, Druze and Circassians. The population served by the Medical Center also includes IDF soldiers stationed in the region, UN forces stationed in the Golan Heights and in Southern Lebanon, the headquarters of whom is situated in Tiberias, and in addition includes 80,000 tourists (both domestic and foreign), who visit the Sea of Galilee, various holy sites in resorts, particularly during summertime. The hospital provides the region’s population with high-end and quality medical services, comparable to that of Israel’s largest medical centers. The Medical Center takes pride in its quality and highly-skilled staff, its advanced hotel-keeping services and state-of-the-art medical equipment. “We regularly strive to improve the quality of the services we provide to our patients – which we endeavor to render more professional and amiable,” the website states. The Medical Center is amongst the first five governmental hospitals applying for the American JCI Organization’s standard. The Medical Center contains 318 hospital beds for admitted patients, 12 beds for outpatients, 9 dialysis stations and 31 newborn cradles. This regional and unique hospital provides almost every branch of medical services, to the exclusion of thoracic surgery and neurosurgery. In the field of oral and maxillofacial surgery the center serves as an ultra-regional hospital. Currently, the Medical Center is undergoing an unprecedented period of development, following the renovation of its internal and cardiology wards, and its establishment of a catheterization and premature nursery unit. In 2011, the hospital opened a new Emergency Medicine Department (ER), and in 2012, they were expected to reinstitute the hospital’s entire maternity department. The renovated department shall include delivery rooms, a maternity ward, an IVF unit and a high-risk pregnancy unit. At the same time, preparations are being made for Public Works Department works at the road leading to the Medical Center. The Medical Center employs more than 900 personnel, including doctors, auxiliary and paramedical employees and administrative and housekeeping personnel. The hospital’s achievements in all fields are many, and it strives for excellence in all medical fields and their related services. The increasing development of the hospital in the past two decades has been impressive. The hospital website enables Internet visitors to learn more about the hospital and its medical team. In addition, the site provides accurate information regarding the hospital’s services and departments, and allows patients to secure clinic appointments, and to learn more about the hospital’s diverse activities. 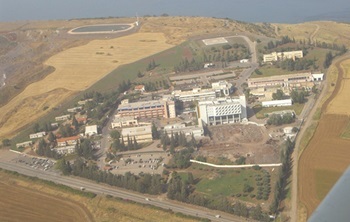 The Medical Center affiliated to the Faculty of Medicine in the Galilee – Bar Ilan University, and as of 2011, the hospital’s academic departments have been affiliated with the Galilee Medical School. This move is likely to upgrade the hospital’s entire academic unit and is part of the hospital’s ongoing process of improvement in quality and in services rendered by it. 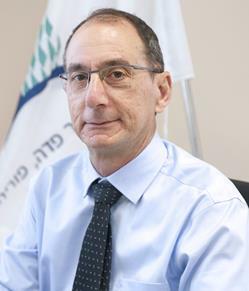 Dr. Erez Onn, Director General. Medical Specialty: Orthopedic Surgery. Dr. Onn also has an MA in Political Science, and a degree in Medical Management. His vision for the hospital: Apply international standards of quality care; broaden service diversity. Implement new diagnostic and treatment technologies, including advanced information technology. Improve accessibility. Improve communication and collaboration with community doctors. Integrate teaching and research with the Faculty of Medicine in the Galilee. Actively participate in the community in areas of society, health and welfare; strengthening the bond between the medical center and the communities it serves. Married with three children, Dr. Onn resides in Zichron Yaakov, south of Haifa. 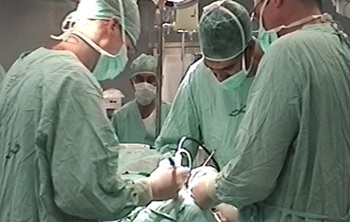 Dr. Milad Qarawany leads the Trauma Unit, and had been Acting Director of the Surgery Department, and Head of the Emergency and Disaster Committee. 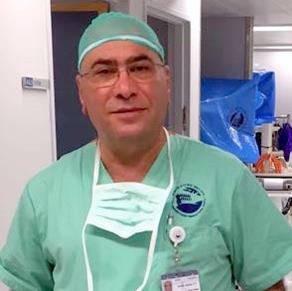 A Senior Surgeon specializing in abdominal conditions, with expertise in Emergency Medicine, Dr. Qarawany was born and lives in Maghar, a nearby Arab village home to Arabs, Druze, Muslims and Christians. He graduated from the Galilee Christian High School, and received his MD from Hebrew University, Hadassah Medical School. He belongs to Israel’s Medical Association; Surgical Society; Society of Trauma; Association of Emergency Medicine; and Society of Colorectal Surgery. He is a leading member of the recently formed Multi-Existence Forum, recognized by Israeli President Rivlin for promoting mutual respect, understanding and harmonious existence among the diverse communities in Israel’s north. Dr. Qarawany’s wife teaches mathematics; one son is a medical student, another is a law student, and his daughter will soon graduate from high school. 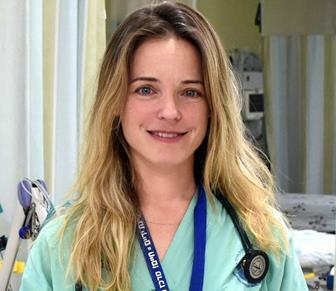 Dr. Batsheva Tzadok is the Deputy Chief of the Emergency Department. A New York native, she received her undergraduate degree in Biology at Brandeis University, emigrated to Israel in 1996, and received her MD at the University of Tel Aviv Sackler School of Medicine (1998). In addition to providing direct clinical care, Dr. Tzadok plays an active role in training residents, physicians and interns on topics of emergency medicine with a focus on resuscitation and point of care ultrasound. She served as Medical Advisor to the Israeli-Palestinian Cooperative for Economic Expansion from 2012-2013. She voluntarily coordinates community donations of clothing, toys and food to Syrians living in villages devastated by the nearby Syrian civil war. In 2017, she received an Excellence in Teaching award from the Bar Ilan Faculty of Medicine in the Galilee. Married with five children, Dr. Tzadok and her family live on Moshav Sharona in the Lower Galilee. Mr. Esam Mansour leads nursing administration. 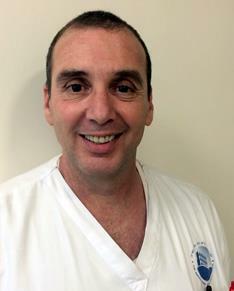 He has served as head of the trauma division, and has developed training systems in the trauma room, including training in Basic Life Support (BLS) and Advanced Cardiac Life support (ACLS). He also has managed the database which monitors trauma statistics, and has led quality assurance effort in treating injuries. Since 2009, he has been a member of the life support committee, which won recognition as Outstanding Team in 2017. He personally won the Ministry Outstanding Employee award in 2017. He was born in and received his early education in Maghar, and received his nursing degree at Assaf Harofeh School of Nursing, Hebrew University. He has also received certificates in ECG monitoring, specialist intensive care, and nursing management. He served as a combat medical technician and clinical head during his regular military service; in the Reserves, he is First Sergeant Battalion Emergency Medical Technician. Married with five children, Mr. Mansour and his family live in the Demobilized Soldier’s Neighborhood of Maghar. On its Home Page at the website, The Baruch Padeh Medical Center, Poriya, says it “has determined, as its foremost objective, to improve the medical services rendered to the region’s citizens, and to compare the level of service provided to those attending our center with that of medical centers located in Central Israel. Photo captions: 1) Poriya Hospital in The Galilee from the air 2) An operation taking place at Poriya Hospital. 3) Entrance sign for The Poriya Hospital welcomes all patients from every background. 4) Dr. Erez Onn, Director General. 5) Dr. Milad Qarawany leads the Trauma Unit . 6) Dr. Batsheva Tzadok is the Deputy Chief of the Emergency Department. 7) Mr. Esam Mansour leads nursing administration. 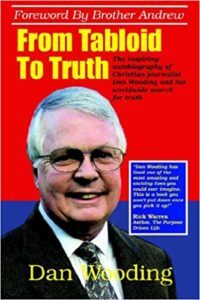 8) Journalist Michael Ireland. ** ASSIST News Service (www.assistnews.net), founded some 25 years ago by author, broadcaster and journalist Dan Wooding, exists to “give a voice to the voiceless” – our brothers and sisters in Christ who do not have a voice to tell the world of their suffering for Naming the Name of Christ at Work, at Home, or in the Marketplace. Would you consider a one-time or more frequent gift to help sponsor our unique News Service dedicated to providing news and feature stories about the Persecuted Church Around the World? Please help as you can, by going to www.assistnews.net and then scroll down to where it says DONATE TO ASSIST NEWS and then put in the figure you would like to donate towards our service. If you prefer a check, just make it out to ASSIST and mail it to PO Box 609, Lake Forest, CA 92609, USA, with a note in the memo section saying: ‘Where Needed Most.’ Thank you so much on behalf of the Persecuted Church.